I am writing to thank you Spiro because you helped me when I was at one of the lowest points in my life – plagued by alcohol, drug addiction, and uncontrollable rage. I had tried to change so many times, always relapsing back into the same old lifestyle for more than 4 years on and off. I was broken and coming to the end. Then I did hypnotherapy wit you and my life has completely turned around. I have not touched anything in the longest time and I have no desire to whatsoever. I have never been this positive and clean in my entire life. In just 4 sessions I am a completely different person. For the first time I have positive goals that I am achieving .I cannot thank you enough for what you did for me and I am forever in your debt. I feel like the hypnotherapy has given me the right tools I need to live a positive life achieving everything I want to. Thanks again! 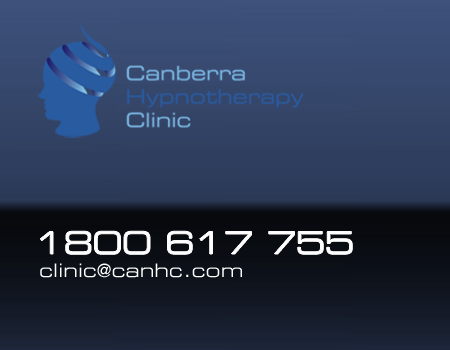 I got great results from Canberra Hypnotherapy Clinic. Spiro’s personable, no-nonsense and evidence-based approach really worked to help me break-free from negative patterns of anxiety and to make the positive changes that I wanted to make in my life. Hypnotherapy increased my confidence, determination, and effectiveness at work, while also significantly improving my relationships and happiness at home. It was an excellent investment of my time and money in banishing bad habits and replacing them with good ones. I just wanted to write to thank you again for helping my daughter. After enduring a very traumatic experience, she suffered chronic insomnia which then affected her schooling, her mood and every other aspect of her life. We’ve really been at a loss as to how to help her and even resorted to prescription sleeping medication which also didn’t help. When my friend suggested we contact you, I will admit I was skeptical but also at the point where I was willing to try anything. To my absolute amazement, after just a few sessions with you, the problem has disappeared completely! After two years of sleepless nights and the resulting tears and anxiety, she now goes off happily to bed each night and sleeps soundly until the morning. She is so much happier and healthier and we are all reaping the benefits! I really can’t thank you enough and I will certainly be telling my friends about how you helped us. Thank you again! I can’t thank Spiro enough for the amazing results I’ve gained from the short course of hypnotherapy I’ve had. I have struggled with poor motivation and self esteem, lack of direction, grief from the loss of my daughter, failure of romantic relationship which saw me move interstate to be with my partner, leave a fifteen year career, then have him end the relationship soon after which resulted in loss of my home, financial strain and my teen daughter moving further interstate. This left me overwhelmed in a new place, no support, a new job and alone. Spiro helped me not only recover from the acute emotional distress of heartbreak and change in circumstances but I have settled emotionally, found inner strength and clarity. I now have direction and goals to achieve. I am more health conscious, joined the gym, have lost 20kg in last 6 months, have started a body building program and have completely overhauled my diet. I am dating again and enjoying extending my social circle by being more active in the community. All this achieved with four initial sessions and the very occasional top up session in the months since. Spiro is very approachable and puts people at ease. He is professional and you can tell he has a passion for what he does. You feel comfortable to be open with him. I remember how negative I felt however after the first session found myself at peace with a new drive to work on re-balancing and prioritising myself. It seems effortless..if you are ready to create a change no matter how large or small I highly recommend Canberra Hypnotherapy Clinic, Spiro and Stella are committed to helping you achieve the change you desire. Thank you again for all of your help! Having considered myself an anxiety sufferer for over 15 years, I was skeptical about whether hypnotherapy would work. Spiro made the process comfortable and I noticed the difference after only one session. Now after having several sessions I feel completely different and free of what has been a crippling. Spiro has helped me to remove my confidence blockages and allowed me to take my career to the next level. Since seeing Spiro at the Canberra Hypnotherapy clinic I have be able to accept what I cannot control and focus on the things that I can. We first met Stella and Spiro a few years ago through the referral of a very close family friend. Throughout the years we have been endlessly inspired by their passion, enthusiasm and wealth of knowledge. With consistently great results across many aspects of our lives, we look forward to continuing our work with them into the future. Great people who are fantastic at giving you the tools in life to get things back on track!! Its a good feeling to be able to come to a place where you feel safe to make changes. Spiro & Stella are amazing. Two truly beautiful souls who are knowledgeable and generous. Gifted people who can turn darkness into light. Thank you. Upon meeting you your warm down to earth nature put me at ease discussing my emotions and ‘life’ with you. I felt like you took the time to explore in depth the issues and emotions I was feeling. All I can say is ‘wow’ I am astounded at the impact working with you has had on my life. After my first session I stopped the internal dialogue in my head and repetitive negativity I was replaying on a daily basis. I put on a pair of sneakers and started running and have since lost 5kg and counting. I have had a full nights sleep for the first time in 6 years. I feel positive that my life is on the right path and that I am now in control.